That’s what Thumper asks as he watches Bambi attempt to stand up and walk for the first time. Bambi is Disney’s earlier version of Simba. Divined into princedom from birth, Bambi’s biggest challenge is learning the symbolic order and entering into the patriarch. All the small marsupials and birds of the forest are there to greet him while he’s literally ‘finding his feet’. Unlike The Lion King however, Bambi is not a narrative where the ordained power is threatened by its subjects. Rather, in Bambi, the threat comes from the outside, from the humans. The guns serve as technological threat to the natural world and to the natural order of things. Most people who watched this film in their childhood will think immediately of the moment when the humans come and Bambi learns the harshest lesson life has on offer – a man must stand strong because his mother can’t protect him from what’s out in the wide world for very long. 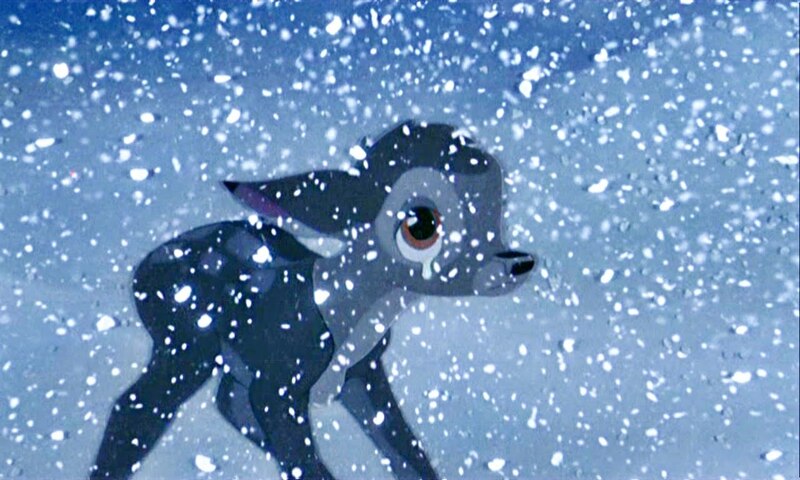 Of course a revisionist viewing of Bambi as an adult reveals more than just a harsh life lesson and a lot of a tears. In fact, the great strength of Bambi really lies in the stunning cell animation and the vibrant, colourful scenes that tell the most dramatic elements of the story through vivid impressions of frolicking, fear, romance and seasonal changes. A beautiful film and one that truly deserves an adult viewing, Bambi is a great classic that will haunt and enchant as it returns this Sunday to the big screen. 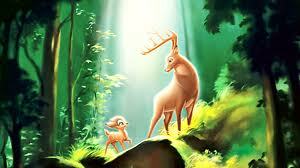 Bambi screens Sunday September 15 at 2pm.